The emergent topic of urban adaptation to the effects of climate change is among the more pressing areas of research for those engaged in the built environment. While it was not entirely clear how the mitigation of climate change implicated the disciplines of architecture, urban design, or planning, the more recent focus on adaptation to ongoing effects of anthropogenic climate change puts those fields at the center of the conversation. Over the past several years the North American discourse on the subject has sensibly focused on the significant case studies of New Orleans post Katrina and New York post Sandy. Both of these cases have engendered a range of public discourse, planning proposals, and design strategies for living with the ongoing reality of increased storm events, rising sea levels, and a host of secondary and tertiary effects associated with the new reality. In each of these cases the design disciplines have been central to the projection of alternative futures for these vulnerable major metropolitan centers. While these cases have provided unique contexts for the advancement of disciplinary knowledge, professional practices, and societal engagement with the subject of urban adaptation to sea level rise, they have reinforced a tendency toward the defense of relatively densely concentrated urban agglomerations through the deployment of large hydrological engineering systems. By contrast, much of the North American coastline, and its associated urbanization resist such approaches by the realities of their geography, hydrology, and patterns of urbanization. Among the more extreme cases in this regard is the present status and uncertain future of South Florida’s coastal communities. Using the vehicle of Miami Beach as a case in point, the Harvard Graduate School of Design and its partners will examine the implications of sea level rise and increased storm events on the sprawling urbanism of metropolitan Miami and its numerous municipalities and communities. The low-lying coastal conditions and singular cultural heritage of Miami Beach resist the types of massive civil engineering projects that have recently been proposed for London, Venice, or other major international examples. 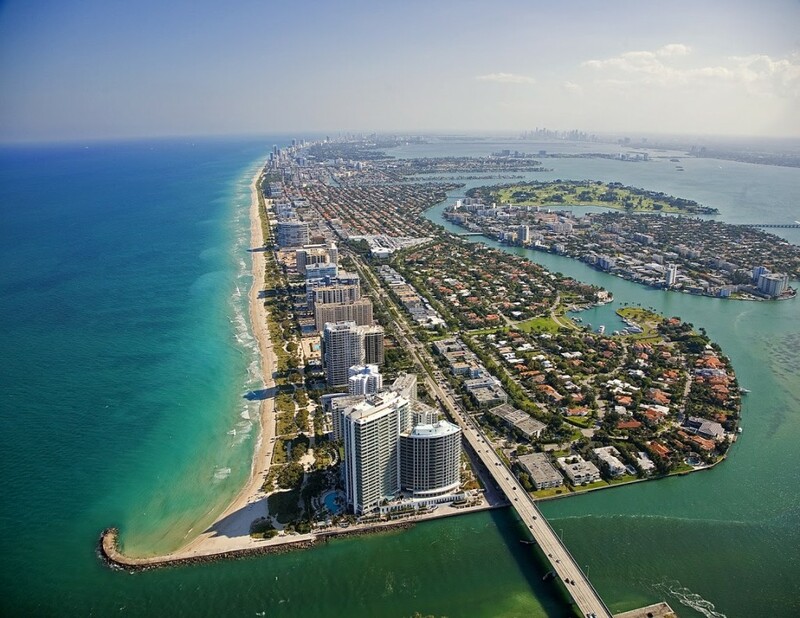 Given the reliance of South Florida’s economy and identity upon the specific landscape conditions of Miami Beach, this research project proposes to use the frameworks of green infrastructure, landscape ecology, and cultural heritage as potential responses to looming threats associated with sea level rise.